This time around the focus has been on adding a little bit of quality to the current experience, as well as adding in a system that’ll eventually develop into one of the game’s core mechanics. See the bottom of this post for a full change log, but for more detail on some of the biggest changes in this update, read on. You may have spotted my last post showing off my first real attempt at character animation. The game now contains 3 different animations: walking, sleeping, and working. It’s by no means an exhaustive list, but it covers some of the biggest actions the ants currently perform. Over the next few updates, expect to see more animations for climbing, eating, idling, and of course, combat. Next up, the interface has been skinned. I’m using some fantastic free assets from Kenney, which really help to make the game look less like a Unity prototype. There’s still more work to be done on the interface, but what we have now is a definite improvement. The existing ‘work’ particles have been replaced. Digging and building rooms uses a nice puffy white smoke effect, while harvesting food sources spills little chunks everywhere. One of the most obvious and important changes in this update is the inclusion of sound. 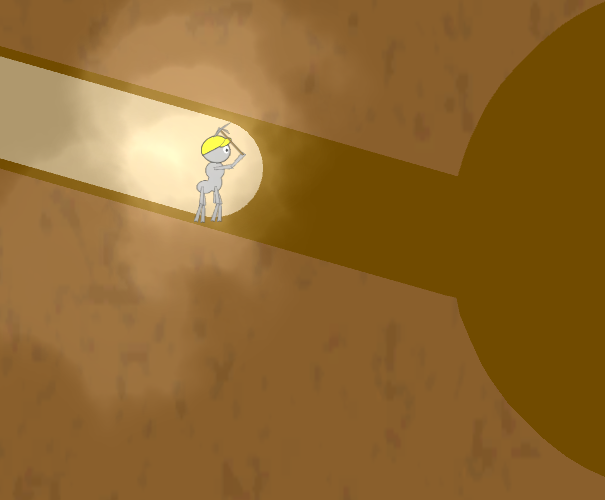 The game is accompanied by some open source backing music found on Open Game Art. 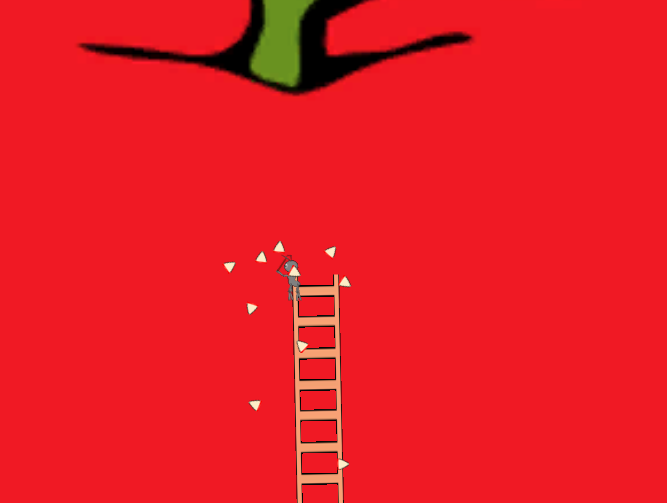 A series of clicks and pops when interacting with the interface or using tools, and stereo sound effects when ants dig or harvest really help in bringing the game to life. To me, sound is one of the most important aspects of a game – even more so than graphics in most cases. Try playing your favourite game on mute, and see how much of the experience is lost. So while Project Ant’s soundtrack isn’t going to be winning any prizes, having some sound is a really big win for me. I know you’ve all been dying to know what on earth I’m talking about. Smells in a game? Not smells for us, unfortunately, but smells for the ants. One of the core game mechanics is going to revolve around Pheromones. As ants move and work around the world, they will leave pheromones behind. Over time, Pheromones will decay unless refreshed regularly by passing ants. Pheromones will be used by the ant’s AI to guide them – at a high level, they will give ants an indication of which parts of the world are safe, high trafficked areas, and which places are potentially dangerous and unexplored territory. 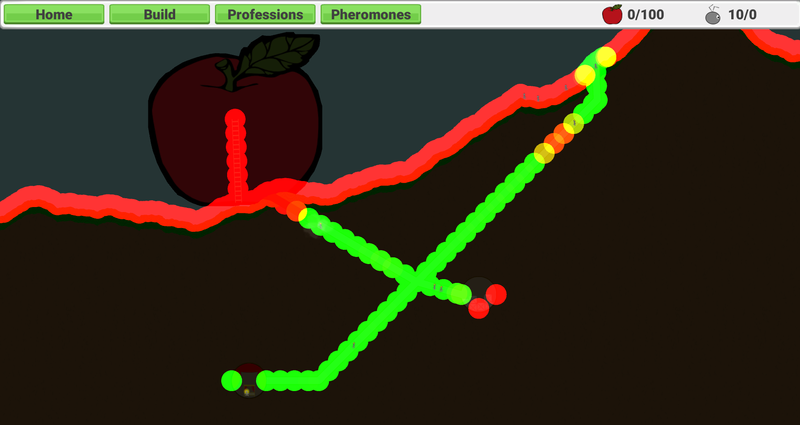 In game, the player can view pheromones in a handy overlay as seen here. So that covers the big ticket entries, but that’s far from an exhaustive list. Check out the full changelog below. So, that about wraps things up for this update. The project has surged past the 200 commit mark, and has been going for over 5 months now in it’s current form. That marks the longest I’ve stuck with any single personal programming project. Maybe it’s time to drop the self-cynicism? Hmm, maybe not yet. Keep watching this space though, plans are already being put together for the next update, and if all goes well, it’s going to be a cool one!